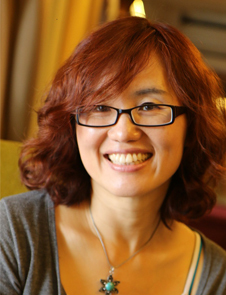 WonSook LEE has been working at EECS, Faculty of Engineering, University of Ottawa, Canada since Sep, 2003. She has worked on computer animation(MPEG 4), face recognition(MPEG 7), medical imaging and etc. Her interests diverse from Computer graphics to Computer vision, but the main theme is VISUALIZATION and HUMAN. She has studied, worked in companies and universities in South Korea, U.K., Singapore, Switzerland, U.S.A. and now it's time for Canada.